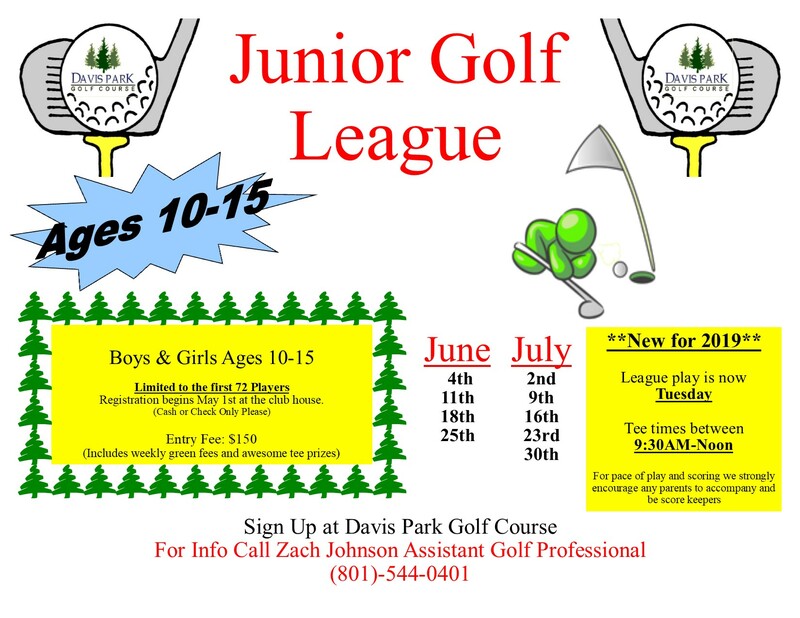 Summer is right around the corner which means Junior Golf is upon us! Sign up begins May 1st, 7:00 am in the Pro Shop. Please note the league does fill up fast. We will be taking the first 75 kids. Thank you! Davis Park Golf Course is a public golf course located on the benches of Fruit Heights, Utah. The course has beautiful views of the valley, lake, and mountains. It is known for its smooth putting surfaces and great staff. It also has strong Ladies, Men’s and Junior Associations. 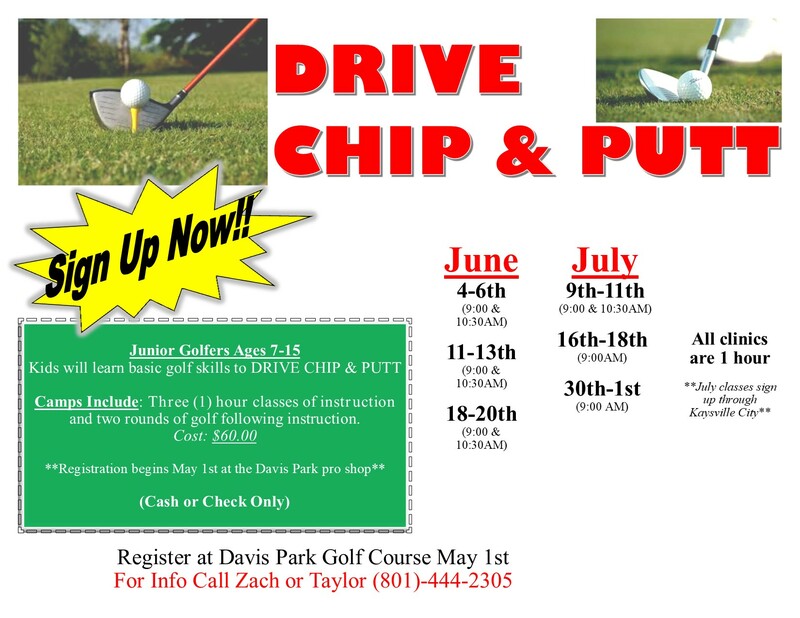 Whether you are an accomplished player, novice, beginner or just someone looking for a relaxing atmosphere, Davis Park Golf Course has something for everyone. 1074 East Nichols Road | Fruit Heights, Utah 84037 | (801) 544-0401 © 2017 Davis Park Golf Course. All rights reserved.